The best real estate marketing plan details your goals, budget, demographics of your target clients and how you plan to reach them. In this article, we will show you how to write a real estate marketing plan, offer you a free template and show you how to structure your goals to meet them. With over 160 million monthly visitors, Zillow is the most widely used real estate website. Sign up for Zillow Premier Agent to gain exclusivity on all of your listings and the ability to advertise on the listings of competitors in your area. Maximize your marketing budget by visiting Zillow today. Your real estate marketing plan template should help you clearly define the direction of your real estate business and give you specific formulas to reach your goals. We give you a free real estate marketing template that can calculate your return on investment (ROI) and show you how to structure it to achieve the best results. To help you better structure your own real estate marketing plan, we will use the fictitious persona of a Realtor working in Northport, New York, as we walk through the template steps below. Here are the 10 steps to the best real estate marketing plan. Setting realistic and achievable objectives and goals starts with examining past performance. When making goals for this time next year, use hard numbers to take a sobering look at where you are now and use this to begin to create predictions of where you can be this with effort moving forward. Here is an example of Actual Income vs. Income Goals. As you can see from the example below, the Realtor from New York is certainly setting ambitious goals for the following year of income, but not unrealistic goals of a million dollars or more after a $54,000 year. The general marketing goals section is an overview. It puts your general marketing goals for the year into writing by helping you to examine your specific goals and challenging you to lay out exactly how you will implement them. Gaining more clients or expanding your farm area requires focused work and specific efforts. Here is an example of how to think about and utilize this section of the template to align your marketing goals best. Increase the market awareness of my personal brand Increase my purchase of local newspaper ads and run more targeted Facebook ad campaigns. Get more seller clients Buy Zillow Premier Agent Direct, and Seller Boost ads to generate seller leads. Increase spending on door hangers and direct mail. Set a schedule to call more FSBO and expired listings. Complete six more transactions than last year Buy Zillow Premier Agent Direct, and Seller Boost ads to generate seller leads. Upgrade my CRM to a service like Freshsales, to nurture leads and contacts more efficiently. A buyer persona is a fictional character that you create to represent the characteristics of your typical buying customer. In order to target an audience with your marketing materials effectively, you need to understand who your typical buyer client in your farm area is. Use this section to describe your client and include traits common to people in your farm area. The idea behind creating a buyer persona in this section is to have this fictional “person” in the back of your head whenever you are writing copy for listings, designing ads or making videos. Here is an example of a typical buyer persona. Notice the detail in which you create this persona to help inform your advertising later in the template. Our buyer persona is Ben Tinsdel, a married 43-year-old man who drives a late-model BMW station wagon. He works in finance in Manhattan and commutes there via the Long Island Railroad every day for work. He likes sports, particularly the New York Yankees, and likes to spend weekends with his family. Cassie, Ben’s wife, works in publishing part-time but focuses the majority of her time raising their two children who are in elementary school. She is interested in interior design, books and cooking. Cassie wants a neighborhood with great schools, a walkable downtown area and a sense of community. In her style of home preference, Cassie doesn’t share her husband’s interest in vintage homes and would rather have a modern home that requires less upkeep. As you can see, our buyer persona either lives in the Northport area already or is moving from New York City to get more space for his family. He is looking for a home with character, in a terrific neighborhood with quality schools. He doesn’t own a boat but is likely very attracted to the nautical history of the area if he falls into the interests of other local residents of his age. Similar to a buyer persona, a seller persona is a fictional character that you create who represents the characteristics of your typical selling customer. Use this section to describe your typical seller client to inform how you will later target marketing efforts toward them. Be as specific as you can when creating your seller persona. Here is an example of what a typical seller persona might look like and the detail that’s included. Caroline Haskell is a 71-year-old widowed woman who grew up in Huntington and has raised a family of four in the same house in Centerport that she now lives in. Because her children are all grown and scattered around the country, she is moving to Florida for a more comfortable retirement. Caroline is typical of the older women in the area and loves the arts, especially the theater as well as antiquing and Victorian homes like the ones in Downtown Northport. She is somewhat conservative but tends to lean progressive when it comes to social policy. She drives a Honda Accord and listens to big band music. A geographic farm area is the ZIP code, town or city where you will focus the majority of your marketing efforts. In this section, we’ll discuss how to use the data gathered from your farm area to inform your real estate marketing plan. 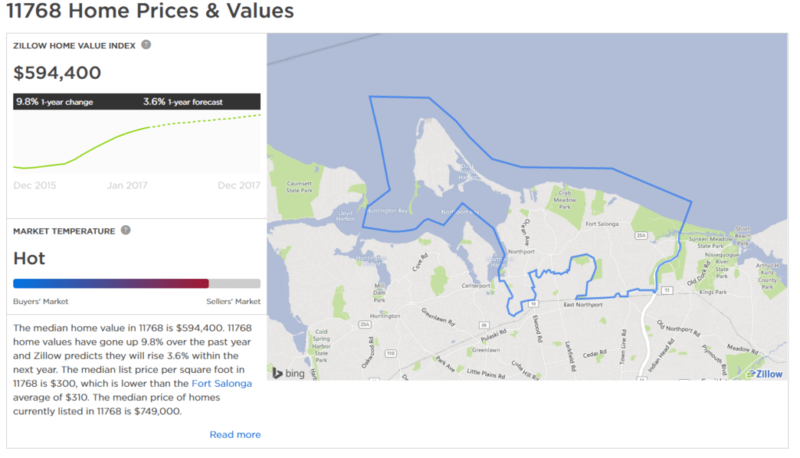 To create the best real estate marketing plan, you want to use demographic data to help you think about how to attract new leads that live or are relocating to your area. This data is found easily through free sites like City-Data. By understanding the basic makeup of your market, you will be better able to speak to your core audience through your marketing materials and understand how to reach them more effectively. 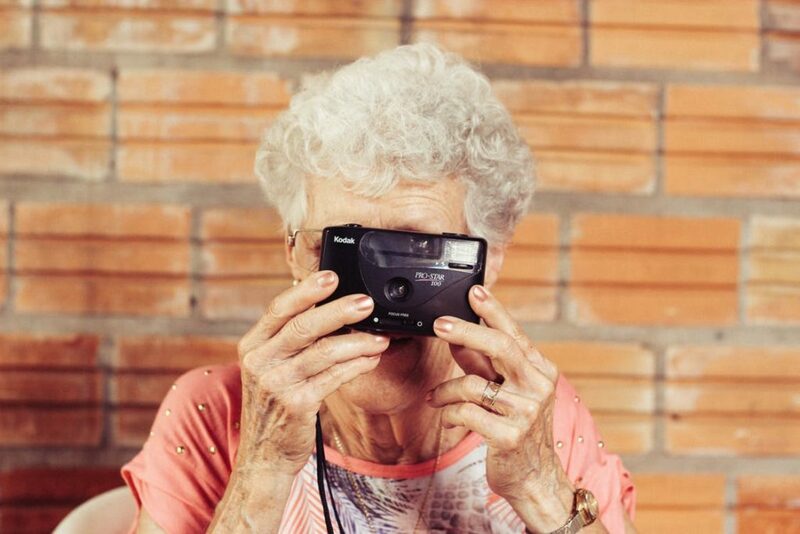 For example, a younger population might be reached easier through Facebook ads than a retirement community. If you are an agent just starting out and still need to select a farm area, check out our guide. Although you might have a good feel for your farm area by your real estate transactions thus far, it’s an important exercise to examine the numbers in your neighborhood. Often, there are hidden populations that you may not interact with regularly or see in your day-to-day interactions. For example, if you have a family, you might perceive that there are many more young families than there actually are simply because you interact with them more regularly. Individual demographics will examine the composition of the people who make up your farm area. By knowing who lives within your farm area and knowing more about them, you can target specific marketing materials to this group. For example, knowing the majority of your population is approximately 48 years old and tends to be married with a median income of $119,000, indicates they are likely not first-time homeowners. Knowing home prices and values will help you target your marketing efforts because it will indicate the kind of income that will qualify for mortgages for the homes in your area. This section should examine both home prices and values now and the trends that your farm area is expecting in the future. Because this data can change frequently, you should update this section regularly. 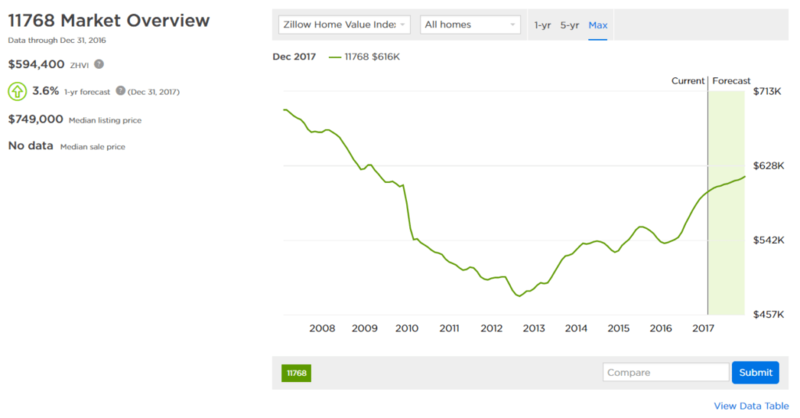 Home prices and value chart from Zillow. Market overview chart from Zillow. This section of your marketing plan will describe your competition and analyze their strengths and weaknesses in the marketplace. Looking at how your competition markets within your farm area will give you an indication of where to channel your efforts. In this section, we will show you how to use a competitive market analysis to define opportunities. When analyzing market competition, be sure that your efforts are focused on examining your specific professional peers. For example, if you’re a boutique brokerage, you should be focusing on other brokerages and, if you’re an agent or small team, you should be focusing on agents or teams. Take notice who seems to have the lion’s share of For Sale signs in your area, who has the majority of listings, who is a presence within your farm area sponsoring events and begin to look at their specific marketing efforts. Visit their website to see if you begin to see ads that retarget you to see their level of digital marketing and see what types of ads they are using. Be sure to collect data from Zillow on their agent profile or your local multiple listing service (MLS). We will use the example of Daniel Gale, a successful Realtor at Sotheby’s. In this area, you want to be sure to identify some of their basic information such as how many closings they have per year, the average list price they work with and their percentage of the market which can be gathered from the MLS. In our scenario, when analyzing Gale, we were able to see some great statistics. Notice what your competitors are doing in the marketplace when it comes to advertising as well as branding. Examine things like their social media profiles, website, notice if you get retargeted for ads (and what types of ads these are), as well as see if they are a Zillow Premier Agent. Here are some basic marketing information that could be connected to Gale or analyzed with any competitor in your farm area. Your competitor likely has some specific strengths if they are doing well in the marketplace. Knowing what those strengths are will serve you well in self-examination and building your own business. Gale seems to have fantastic branding, for example, but be sure to look through the other areas in your research as well and use what you find right to your advantage. One approach to take if your competitor seems to have an edge in multiple areas is to take some notes and kick off some similar strategies. They say that imitation is the sincerest form of flattery, but it is also a great way to bolster your business. Saying that, you don’t want to imitate exactly, just simply reverse engineer what they are doing right and do it for yourself. For example, if they are using Zillow Premier Agent, then you should be too, or they are going to be shown on your listings. What your competitor is doing wrong is not always an obvious mistake, but something that they lack. Real estate marketing omissions give you an opportunity to capitalize on the weaknesses of even highly successful agents in the area. If you do a thorough examination of your competitor’s efforts, you will find loopholes in their marketing, and these can be the cornerstone to your real estate marketing plan. If your competitor does not have a social media presence, be sure to begin the process of creating one for yourself and engage with potential customers online. If you find that your competitors are not offering a service, be sure that you are and incorporate that into your business as a strategy. After you have done a thorough analysis of your competitor’s real estate marketing plan, use this section of your template to describe the unique value proposition that you can bring to the table as a Realtor. Talk about what unique value you add for your leads and what you can provide. After discovering your competitor’s strengths and weaknesses, you should have a solid perspective on what holes you can fill in the marketplace and by what means. If you were able to take advantage of what you have learned above and bring something unique to the marketplace, this will be your unique value proposition. If you are capitalizing on your competitor’s weaknesses, you will create an immediate difference. For example, if your competitor is not doing walkthrough videos on every listing, be sure that you are and talk about this at each listing appointment you have. Drive that point home and talk about why doing walkthrough videos are so important to successful listings. Having a strategic plan that includes your value proposition will also help you craft marketing materials to reflect your unique position amongst your peers. For example, you might design ads that highlight your digital marketing skills using technology like Matterport 3D, video marketing, Facebook advertising, social media exposure or any other specialty you see the market is lacking elsewhere. Looking at your projected marketing budget and comparing vendors is a way to see where the most effective spend is to support your business and how to allocate your marketing dollars for maximum impact. In this section, you will place marketing efforts into a quantifiable monthly budget with specific areas to take action. The table below, included in your template, will help you to visually see where your marketing dollars are giving you the greatest ROI. Although this will be a time-consuming venture initially, it will save you time and money down the road. As you go throughout this process, the best ROI might surprise you. For example, we often find that postcard campaigns can be considered outdated, but still often produce solid results over time. We love that places like ProspectsPlus! allow you to customize your real estate postcards and cost very little. For example, the average cost of 250 postcards are about 53 cents each, which is 19 cents for printing and 34 cents for postage. There are a number of hidden gems in marketing you will discover once you start actually running your numbers. If you have hired anyone to assist you in your real estate marketing efforts, this is the place to quantify any costs associated with that assistance. This section can be used to closely examine costs associated with individuals such as assistants, graphic designers or web designers you might have hired. Solid organization and consistency are key when implementing the best real estate marketing plan. Including a marketing calendar can keep you on track to meet your goals. Your calendar should include activities such as blog posts, cold calling and anything else you use to drive leads. This section will start you off in the right direction. In this section of the template, be sure to link to your real estate marketing calendar if you have one developed. Many people also combine their marketing calendar with their main calendar so that would be included here as well. If you do not yet have a marketing calendar where you schedule out your activities daily, that is an important area that needs to be developed to grow your business. Here are some elements to include in your real estate marketing calendar. Blogging about your local area, including attractions and the housing market, can help you generate leads. Research estimates that those who blog regularly drive 67 percent more leads per month. Schedule yourself to post to your blog once weekly. Postcard campaigns are an easy and inexpensive way to get in front of potential clients and can be tailored to specific groups like renters. How often you run campaigns likely depends on what group you are hitting, so set your schedule, design your postcards with a service like ProspectsPLUS! that specializes in real estate postcards and be sure to get in front of the season. If you have an amazing lead generation website like Real Geeks offers, be sure to take advantage of all the features you can set up that will save you time and drive leads. Spend an hour or so one day per week making sure that your lead capture and nurturing mechanisms are current and reflect the season. From email drip campaigns to short message service (SMS) autoresponders, be sure your systems are on point and ready to capture as many leads as possible. If you don’t yet have a great website that saves you time and captures leads, read our review of the best lead generation websites. Social media keeps you top of mind, but you don’t have to actively post every day even though you can make it appear that way. Services like Hootsuite let you set up your social media posts for the week so that you are regularly in front of the eyes that matter on a daily basis. Be sure to schedule time once a week (at least) to set up Hootsuite, and then add videos and other elements as you are able. If you are still new to social media, Instagram is quickly becoming a way to showcase your walkthrough videos and new properties. Check out our article on Instagram for Realtors to get yourself up to speed. Cold calling can bring new clients, but only if you work it. Set aside time daily to reach out to for sale by owners (FSBOs), expired listings and others who might be open to hearing what you have to offer. If you don’t want to spend time searching for these properties, subscribe to a service like REDX to make it easier and deliver these leads to you every morning with contact information ready to go. If you’re like most people, cold calling can still make you nervous. Here are our Top 5 Real Estate Cold Calling Scripts to help you gain some confidence and land leads. Your real estate marketing plan is not a set-it-and-forget-it exercise and should be a living document that continues to be adjusted over time. Be sure to reassess within your template every six months to see if there are adjustments you can make and boost your ROI. The best real estate marketing plan will take your business to the next level. Use our free template to be able to objectively assess your past performance, define your goals, come up with a concrete plan to meet those goals and run the numbers to see what effect different products and services will have on your ROI. If you want to jump-start your real estate marketing plan, becoming a Zillow Premier Agent instantly puts you at a solid ROI and helps you dominate your farm area. For every $1 you put into Zillow Premier Agent, we estimate a return of approximately $2.60 back in commissions. This is a great, detailed article! I’m considering migrating into the real estate industry and have created a business plan and conducting research on marketing plans. This is by far the most detailed plan and explanation that I’ve found. Thanks for sharing! You'll be able to calculate your return on investment (ROI) and structure it to achieve the best results.